We'd love to have you visit! When you do, we have lots for you to experience, and more to come in the near future. We have an entire 48 acres for you to explore on your own, with friends or loved ones, or as a family. We are proud to offer different types of transportation and tours to accommodate you. Our relationship with Holy City Transportation is long-standing and we feel fortunate to have the best driver in the low-country. Born and raised here, David knows how to create a day that features the best of Charleston county, whether it's a day trip to the vineyard, a stop at the Angel Oak, or fun on a Sea Island Tour. Check out his Facebook page for testimonials and a glimpse at some the fun adventures he can take you on. Call him at (843) 364-5841 for all of your group transportation needs, you'll be glad you did! Tuesday - Saturday 10:00 a.m. until 5:00 p.m.
For $7.00, you'll go on a "choose your own adventure" tour of our 9 wines, weaving your way through 5 tastes. And, since we value our employees being able to be spontaneous, you may have some surprise tastes as well (especially if you come during the week when we're not so busy). At the end you will receive a complimentary wine glass to remember your time at the vineyard. Guests are welcome to stroll through the 7 miles of vines in our vineyard as a self-guided tour. Please contact Fran at the winery for details at info@deepwatervineyard.com. Check out one of our partner tours, whether you're up for some history, adventure, or just want to sample some local wine, beer, or spirits - www.seaislandtours.com has you covered. An untouched beauty, Wadmalaw Island is home to the nation's only working tea plantation, Charleston's only vineyard and winery, and the home of sweet tea vodka! 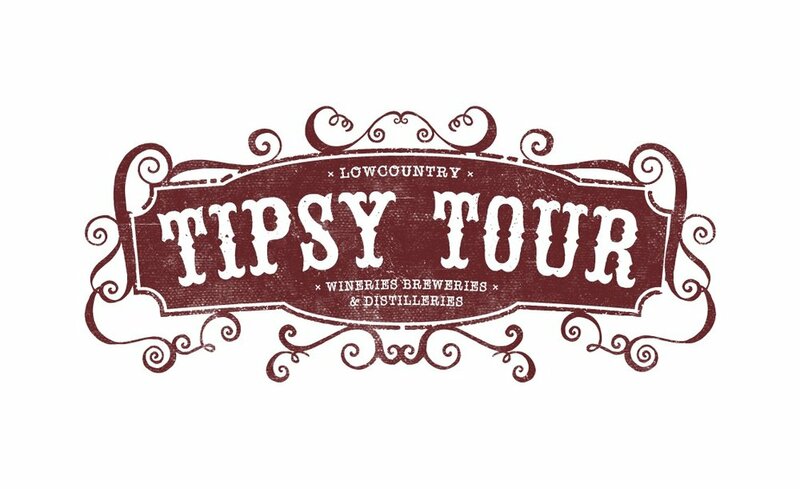 Check out this adult's only tour with stops at Firefly Distillery, Deep Water Vineyard, and Low Tide Brewery. Below we have listed our four annual festivals. For more information on what's happening at Deep Water Vineyard or to book a private tasting for your birthday, bachelorette party, company group or any occasion at all, check out our Facebook page. The event is rain or shine, no outside alcohol or coolers allowed. Refunds for unused parking passes will not be issued. We recommend planning ahead for the festivals, and any weekend you plan to join us, there are many nearby lodging options. To find accommodations near Wadmalaw Island, check out Exclusive Properties. Below you'll find answers to (hopefully) everything you're wondering about visiting our vineyard. if something important is missing below, please email or call us, thank you! Of course, don't leave poor Fido at home! We love our four-legged friends, especially "Irish" and "Luca", our resident winery pups. They can often be found wherever there is food. We do ask that your dogs remain on leashes and that you pick up after your pet, to make it easier we have a conveniently located doggie waste station near our corn-hole boards. As an even bigger testament to our love of dogs, your dogs are welcome to join you in the tasting room, if you'd like. We do have community water dishes for animals to stay hydrated during the day. We are very family-friendly here on the farm. 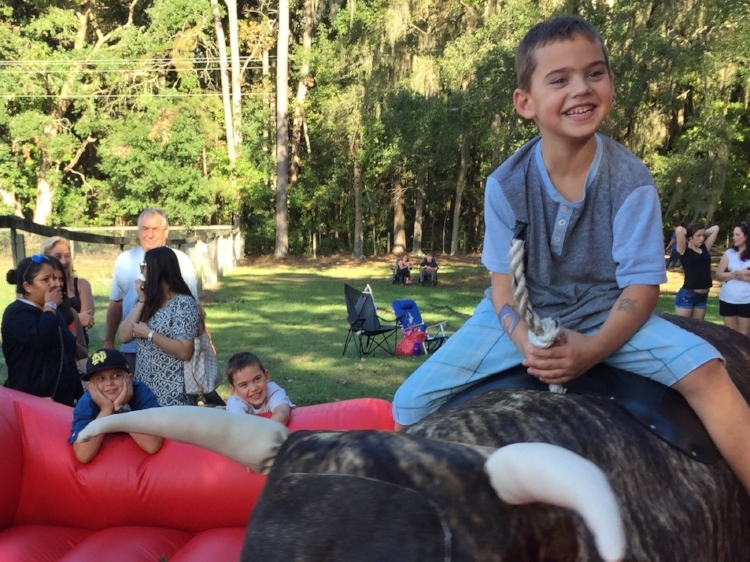 Come for one of our festivals and you’ll find slushies, face-painting, a jump house, or maybe even a bull to ride (mechanical, of course). During the week kids will enjoy our corn-hole boards, swings, swurfer, and definitely our animals. We have pigs, a goat, lots of bunnies and chickens (they’re friends and roommates). We also have a very friendly miniature Brahma cow named Ida Claire who lives in our vineyard. Come explore our 50 acres and let the kids run off that energy. Kids are also welcome in the winery tasting room where they’ll get a chance to sample our juice, which is extremely healthy and low in sugar, in fact it as no sugar or preservatives - just the goodness of our grapes. So yes, please, bring the kids! where is the best place to grab lunch? Well, you're in luck! While there aren't any restaurant options on Wadmalaw Island, a caterer has offered to provide us with lunch options for all of our guests. If you visit us during the week we have fruit and cheese trays to compliment our beautiful wines. If you wander over to us on a Saturday, we offer a variety of food available from a local food truck. They typically have anything from sandwiches, pizzas, burgers, tacos, nachos, etc. There's something for everyone in your party and it's all made fresh to order. It's pretty simple, actually, muscadines are one of the only grapes native to the US, and the first one ever cultivated here. They thrive in the heat and humidity of the south and grow into large and sweet fruit. We realize that the typical encounter with muscadine wine is syrupy-sweet, but we find that some of our most popular wines are those we have blended to be more dry. Whether this is your first experience with the "super grape" called muscadine, or you grew up with them growing wild in your backyard; we encourage you to try our take on muscadine wine; we think you'll be surprised. We have a number of transportation options for you, Uber/Lyft are always an option to come out and see us, but be aware it might not be easy to get a ride back so we recommend letting us know you need help with a ride and we’re happy to get you some assistance. For larger groups we have relationships with some drivers who can happily craft a day of fun for your whole crew. Just call us for details. Finally, we offer a few tours each week, for a chance to meet some new friends and experience all the vineyard and our partners have to offer. Whether you’re into sweet tea or sweet tea vodka, we’ve got you covered. Check out our offerings at Sea Island Tours. Our 50 acres on beautiful Wadmalaw Island is a great place to have your next get-together. Tucked in a quiet corner of Charleston County, we take pride in being Charleston’s only vineyard and winery. For years we’ve been customizing experiences and making lasting memories for groups of all sizes. Contact us today to find out how we can make your next party one to remember. What goes better with a bachelorette party than friends and wine? Nothing. We strive to make your pre-wedding party relaxing, fun, and memorable. We can even customize a party with stops at a brewery, distillery, the winery… or all three! Contact us today for special pricing and to arrange transportation, if needed. What date are you looking to visit us? Please provide any additional information or questions you'd like answered. Our 50 acre respite is the perfect place to celebrate life’s events. The property has something for everyone, including the kiddos and the dog, celebrate your next big day at the vineyard with a special private tasting, let us make your day unforgettable. Looking for something unique for your next company outing? We can design the perfect trip for you and your employees, no matter what size group you have. We are very flexible and can customize the day to reflect your unique culture. If you’re looking for a fabulous place to stay, consider ESPM Vacation Rentals, for beautiful properties on Kiawah. And, as a bonus, if your group is booked with us, you’ll enjoy 10% off your stay!